There are thousands of places to go, and thousands of companies to take you there. A quick Google search for “adventure travel” brings in over 9 million results. That’s a pretty overwhelming place to start. 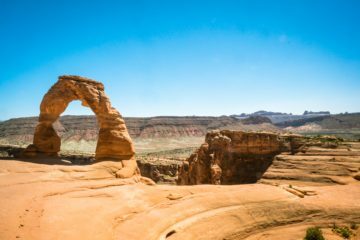 By some stroke of our good fortune, you’ve landed here, on our site, searching for an incredible trip through Utah’s National Parks. Our company is steeped in family history. Our grandparents pioneered the Iowa Mountaineers Club in the 1940s, and went on to summit over 1,300 routes, with many first ascents in the Sawtooth range of southern Idaho. Together they guided over 75,000 participants and instilled in us a deep sense of adventure. We don’t just lead trips because it’s our passion, it’s more than that. It’s our purpose. We want to share these outdoor spaces that have shaped and transformed us with as many people as possible. Our guides are knowledgeable, friendly, and put your safety above all else. Those expert and experienced guides we just mentioned are deeply versed on the areas we visit. You’ll get more on your hike than incredible views. 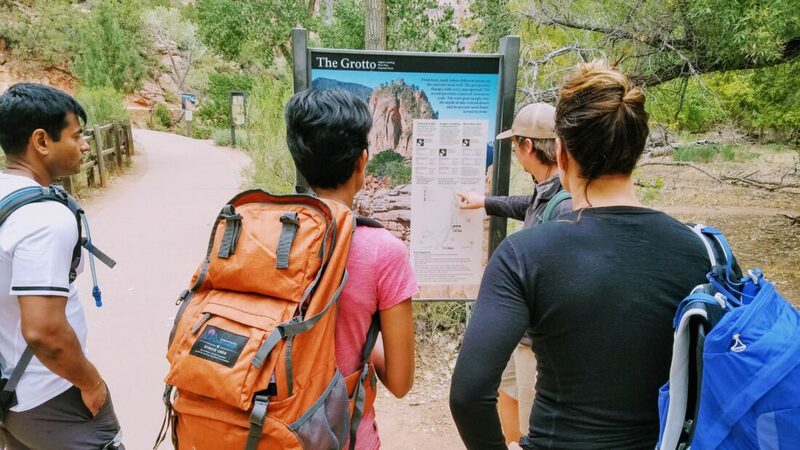 You’ll learn about the flora and fauna of the desert, receive history lessons on the tribes that call the desert home, and discover galaxies around the campfire together. We value ourselves on the entire experience, so when you leave, you’ll feel connected to the desert beyond just the red sand in your shoes. Interested in a strenuous hike? Or a moderate 1 mile walk? Maybe you prefer hanging back at camp and soaking in the desert sounds and desert sun. However you picture your days, we can make it happen. We’ll also be checking in with you along the way. Our biggest concern is for you to feel comfortable on your entire trip. Don’t load down your suitcase with sleeping bags, sleeping pads, or tents. We have you covered! Through our sponsors, we provide top of the line gear for all of our participants. We also travel in a Ford Transit 15-passenger van with wrap around windows. 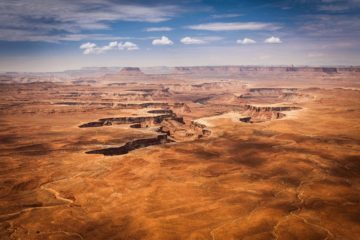 That means you won’t miss a thing when traveling from one park to another through some of the most stunning landscapes Utah has to offer. What’s more important than hiking and seeing these sights? Being well fueled on your journey! We provide an assortment of dishes from veggies to lean protein. We are also able to accommodate various diets and restrictions. All meals are served family style, which is one of the many highlights for our participants. “The meals they provided were excellent and varied!” said Tom, a participant on our Utah Explored trip. 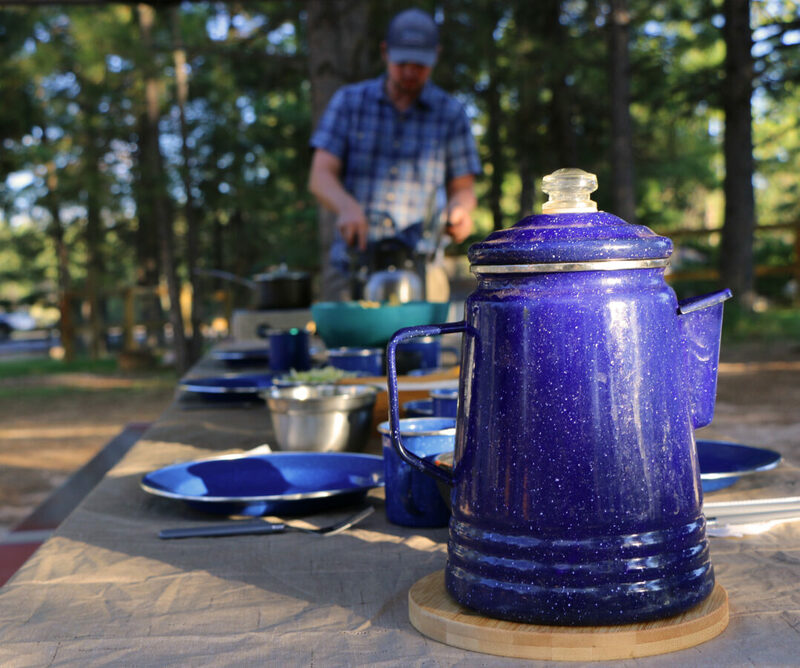 Adventure is better when well fueled. Even if you come with three of your closest friends, your mom, or your college roommate, you’re bound to make lifelong friendships. There’s nothing better than talking around a campfire, or down a red sand trail, or under Delicate Arch. Chances are, you’ll come away from your MountainBased experience with at least one new friend. And with our high international demographic of participants, they might even be your new penpal! When you add up the costs of everything we offer on our MountainBased trips, we think you’re getting a pretty incredible deal. 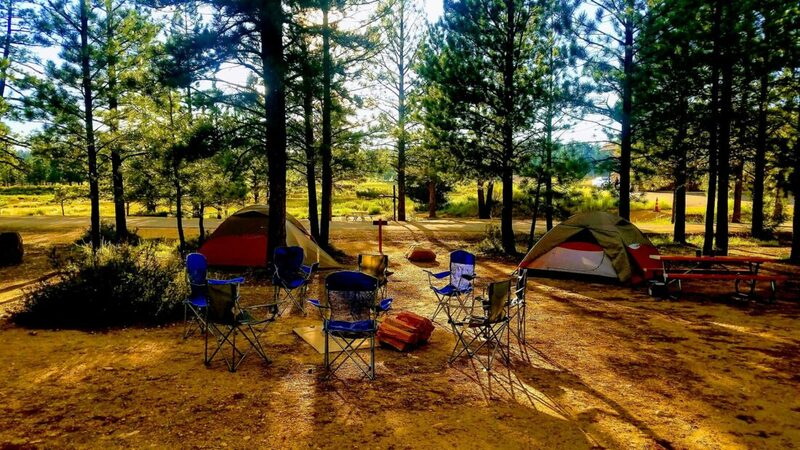 Not only is nearly everything provided (you can find the complete packing list here for our camping trips, and here for our lodging trips), but our guides provide local knowledge, and will have you feeling like you’re part of the family. Because really, after participating in a MountainBased trip, you are. 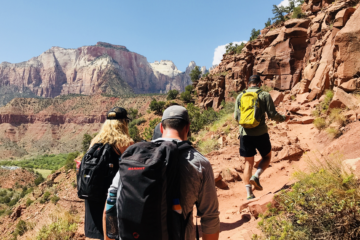 MountainBased is a family operated adventure company offering professionally guided hiking & camping trips throughout the American Southwest and beyond. For us, adventure is more than our passion, it’s our purpose. Happy 89th Birthday Arches National Park!